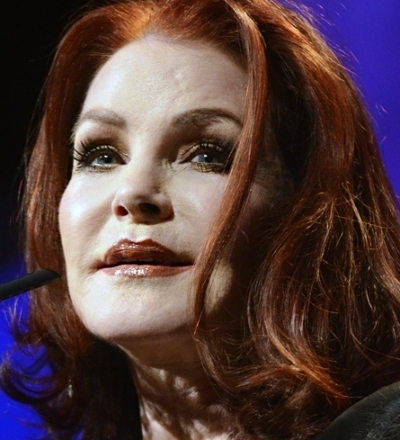 Elvis is gone, but Priscilla only wife of of Elvis Presley remains with us. 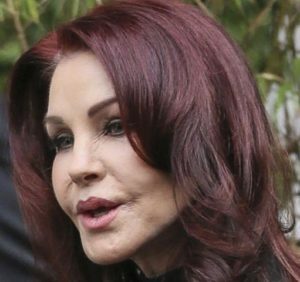 Elvis may have moulded, but she still looks exactly like the 14-year-old he began to woo while he was a GI in Germany in 1959. 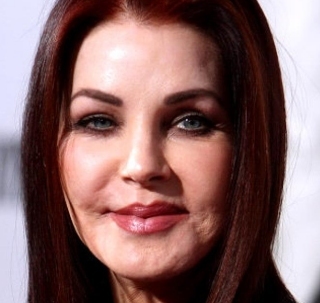 Priscilla Presley now 70, is still doll-like-dainty, perfectly made-up, with waxen cheeks and a permanently pursed mouth that has undergone more plastic surgery. Her eyes, pinioned open, continue to look at the world with dazed wonder, and her voice is that of a breathy, tentative teenager. “I was someone he created,” Cilla says. “I was just a kid, and I was consumed by him. I could never speak my mind; all I desired was not to disappoint him.” Elvis dictated the color of her hair, which was dyed as black as his own and then teased into gravity-defying cones. Elvis insisted on the mascara that turned her eyes into volcanic craters, and the false lashes that flapped above them like nocturnal birds. Elvis picked out tarty costumes for her to wear when she came home from Catholic school, shed her uniform, and began to play – ‘his femme fatale’. Elvis Before/After Facelift Photos Was Elvis Gay?